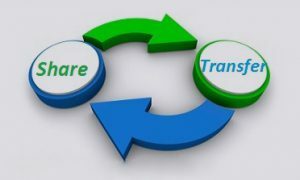 The scheme or a contract which involves in the transfer of shares or in any class of shares in a company ( the transferor company) to another company (the transferee company), within a period of four months after making an offer in that behalf by the transferee company, which has been approved by the holders, not less than nine tenths in the value of the shares whole transfer been involved, other than the shares which have already held at the date of the offer by, or by a nominee of subsidiary or a transferee company. The transferee company, at any time within a period of two months after the expiry of the, said four months, can issue a notice in the prescribed manner to any dissenting shareholders who desires to acquire his shares. If a notice under sub-section (1) is given , then the transferee company shall, unless on an application which is made by the dissenting shareholder to the tribunal, within a period of one month from the date on which the notice has been given and the tribunal may think to fit to order otherwise, be entitled to and bound to acquire those shares on the terms. As per the scheme or contract, the shares of the approving shareholders that are to be transferred to the transferee company. Within one month from the date of such registration, inform the dissenting shareholders of the fact of such registration and the receipt of the amount or other consideration represents the price payable to them by the transferee company. Any sum which is received by the transferor company under this section shall be paid into a separate bank account and any such sum and the other consideration received shall be held by that company in trust for the several persons who are entitled to the shares with respect to the said sum or any other consideration which were respectively received and that has to be disbursed to the entitled shareholders within a period of sixty days. 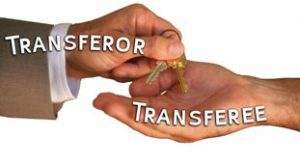 As under sub-section (3), the words which are together with an instrument of transfer has to be executed on behalf of the shareholder by any person who is appointed by the transferee company and on its own behalf by the transferor company that shall be omitted. As per this section “dissenting shareholder” includes a shareholder who hasn’t assented to the contract or scheme and any shareholder who has refused or failed to transfer his shares to the transferee company based on the scheme or contract. The acquirer or a person who acts in concert with such acquirer becoming registered holder of ninety percent or more of the issued equity share capital of a company or in case any person or group of persons becoming ninety percent majority or holding ninety percent of the issued equity share capital of the company by virtue of an amalgamation, conversion of securities for any reason, share exchange. Acquirer or a group of persons shall notify the company of their intention in order to buy the remaining equity shares. The acquirer, person or a group of persons under sub-section (1) shall offer to the minority shareholders of the company for buying the equity shares which are held by such shareholders at a price determined on the basis of valuation by a registered valuer in accordance with such rules that may be prescribed. The majority of the shareholders may deposit an amount which is equal to the value of shares that is to be acquired by them under sub-section (2) or (3), as the case may be, in a separate bank account that has to be operated by the transferor company for at least a period of 1 year for the payment to the shareholders and that amount can be disbursed to the entitled shareholders within a period of sixty days. That disbursement may continue to be made to the shareholders for a time period of 1 year, for any reason which has not been made disbursement within the duration of sixty days, if the disbursement has been made within the aforesaid period of sixty days, fails to claim or receive the payment arising out of such disbursement. 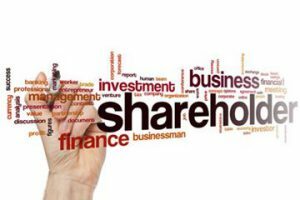 In case of purchase under this particular section, the transferor company may act as a transfer agent for paying and receiving the price to the minority shareholders and it would take the delivery of the shares and be delivering such shares to the majority for a particular case. With the absence of a physical delivery of shares by the shareholders within the given time period specified by the company, the share certificate will be deemed to be cancelled and the transferor company would have authorised in order to issue the shares instead of cancelled shares and the transfer will be completed based on the law and the payment of the price out of the deposit which has been made under the sub-section (4). In case of a majority shareholder or shareholders requiring a full purchase and makes the payment of price by deposit with the company for any shareholder or shareholders who have ceased or died to exist or whose successors, heirs, administrators or assignees have not been brought on record by transmission, the right of such shareholder to make an offer for sale of minority equity shareholding would continue and that could be available for a time duration of 3 years from the date of majority acquisition and the minority shareholding. 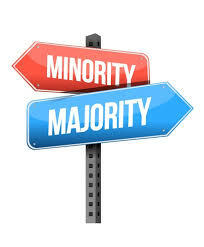 The minority shareholders shares been acquired in pursuance of this section as on or prior to the date of transfer which follows such acquisition, the shareholders hold 75% or more, minority equity shareholding negotiates and reach an understanding on an higher price for any transfer, proposed or agreed upon the shares which are held by them without exposing the fact or transfer takes place on the basis of negotiation, understanding or agreement, the additional compensation shared by the majority shareholders so that it can be received by them with such minority shareholders on a pro rata basis. 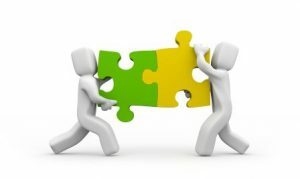 Explanation: For the purposes of this section, the acquirer and a person acting in concern shall have the meanings respectively assigned to them in clause (b) and (e ) of sub-regulation (1) of regulation 2 of the SEBI (securities and exchange board of India) considerable acquisition of shares and takeovers. One year period or a period specified in the regulations made by the SEBI under the SEBI act, 1992, got elapsed. The central government is satisfied that it is essential in the public interest where two or more companies need to amalgamate, the central government may, by order notified in the official gazette provides for the amalgamation of those companies into a single company with such constitution, with such powers, property, rights, interests, authorities, and privileges with such obligations, liabilities, and duties which may be specified in the order. The order under sub-section (1) may provide for the continuation by or against the transferor company of any legal proceedings by or against any transferor company and such supplemental provisions in the opinion of a central government is actually necessary to provide an effect to the amalgamation. Every creditor or member includes a debenture holder or each of the transferor companies before the amalgamation should have, nearly as may be, the rights or interest against the transferee company as he had in the company of which he actually a creditor or member and in the case of rights or interest of such creditor or member in or against the transferee company which are less than his rights or interest against the original company, he should be entitled to compensate to that extent, which can be assessed by such authority as prescribed and every assessment has to be published in the official gazette, and the compensation which is assessed shall be paid to the creditor or member concerned by the transferee company. Any person who is aggrieved by assessment of compensation made by the prescribed authority under the sub-section (3) may, within a period of 30 days from the date of publication of such assessment in the official gazette, prefers an appeal to the tribunal and thereupon the assessment of the compensation shall be made by the tribunal. The central government has considered and made such modifications, if any, in the draft order as it may deem fit in the light of suggestion and objections which may be received by it from any such company within such period as the central government that may fix in that behalf, not being less than two months from the date on which the copy aforesaid been received by that company or from any class of shareholders therein or from any class of creditors or creditors thereof. Every circular contains the offers and recommendations to the members of the transferor company by its directors in order to accept such offer that shall be accompanied by such information and in such manner as prescribed. The registrar may refuse, for reason to be recorded in writing, to register any such circular which doesn’t contain any information that is required to be given under clause (a) or which sets out such information in a manner likely to give false impression, and communicate about the refusal to the parties within a period of thirty days of the application. An appeal shall lie to the tribunal which is against an order of the registrar refuses to register. The director who issues a circular which has not been prescribed for registration and registered under clause ( c) of sub-section(1), will be punishable with a fine amount which should not be less than twenty-five thousand rupees but which may extend up to five lakh rupees.